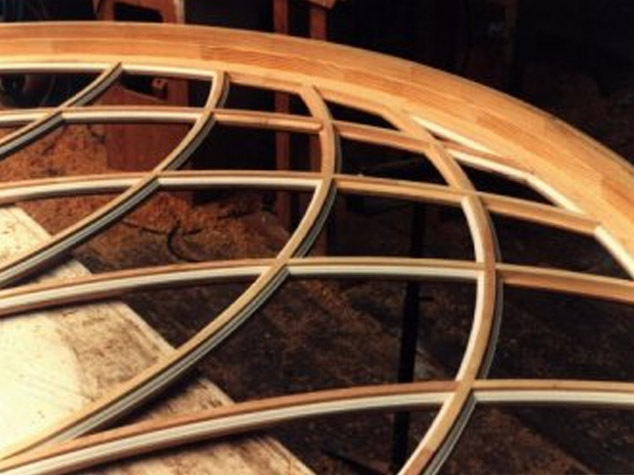 The Windowmaker provides the full range of replication wood window sashes. Accent window sashes of all types, such as San Aguyado, Coronado, Woodlands, Miles Brewton, Old Ship, Charlotte, Wedgewood, Nottingham, Fairmont, Doulton and many more are all constructed in a craftsman like manner. Double hung sashes of all sizes and variations, including Craftsman, Raleigh, Concord and Hillcrest. Transom sashes of all kinds, such as elliptical transom sashes, radius transom sashes and rectangular transom sashes are all available. Sidelite sashes in styles from Park, to Venice, to Poynton can all be can all be engineered to your specifications. Providing the full range of replication wood window sashes. Windowmaker provides the full range of replication wood window sashes. Accent window sashes of all types, such as San Aguyado, Coronado, Woodlands, Miles Brewton, Old Ship, Charlotte, Wedgewood, Nottingham, Fairmont, Doulton and many more are all constructed in a craftsmanlike manner. Double hung sashes of all sizes and variations, including Craftsman, Raleigh, Concord and Hillcrest. Transom sashes of all kinds, such as elliptical transom sashes, radius transom sashes and rectangular transom sashes are all available. Sidelite sashes in styles from Park, to Venice, to Poynton can all be can all be engineered to your specifications. Windowmaker has all the resources necessary for sophisticated in-shop fabrication of custom wood windows, and has provided custom wood windows for many projects in historical renovation. Gothic cathedrals, the Saint Augustine lighthouse, and luxurious historical homes have all been the sites of custom wood window installations from the Windowmaker Company. No matter the size, dimensions or complexity of the custom wood window treatment that you are looking for, the Windowmaker Company is up to the challenge. Take a look at our Windowmaker photo gallery for a view of our workshop and some of the places where our high quality custom wood window work has been installed. Beyond our range of historic sash designs, the Windowmaker Company is your source for all sorts of historical window component products. If you are taking on a historical restoration project yourself and are in need of specialized pieces or supplies, just check your points of interest on our web site to receive information on the products that we can provide you with. We have jamb parts, weight pockets, sills, sash stiles, muntins bars, exterior brickmould and trim, interior casings, wood grilles replicated to match old sticking, restoration glass, operators, stays, hinges, and all manner of antique hardware including pulleys, weights, chains and jamb liner systems. The Windowmaker Company offers a full line of supplies for working with historical custom wood windows, including restoration glass, glazing tools, glazing supplies / bedding compounds, paint and putty removal, primers, epoxies, moisture meters and leaded glass repair supplies. You can also get all of the information that you need to get started on working with historical custom wood windows from the Windowmaker Company. We can provide a range of pamphlets with information that will help you identify the period of your historic wood windows, determine what will be necessary during the course of your project with our historical restoration project assessment guide, and learn how to perform basic custom wood window restoration tasks such as constructing double hung window designs and making your own wood pegs for the windows. Ask us for information on our web site, and not only can you learn about the range of great products and services which the Windowmaker company provides, you can also get free advice on your own historical window making project! Ask a technical question of our staff, and take advantage of the expertise that we possess in restoring custom wood windows of all kinds. Once you are satisfied with our ability to handle any kind of restoration project involving custom wood windows, you can hire us for your custom wood windows project. The Windowmaker Company thrives on complexity, and specializes in unique projects. Whatever the specifications, the Windowmaker Company can review the site, determine what kind of windows should be used for the historical restoration (or provide a range of possible alternatives), and finally assist or completely handle every stage in the window making process. This makes the Windowmaker Company the most flexible source to solve any problems that you may have involving custom wood windows. The Windowmaker Company is up to any kind of challenge involving custom wood windows from whatever era. No matter the size that you are looking for, no matter the dimensions that you are looking for, no matter the complexity of the design, and no matter the historical era, the Windowmaker Company can provide you with custom wood windows that will meet or exceed your specifications, and provide an accurate historical restoration of your property. The Windowmaker Company is listed with the National Park Service, the National Trust for Historical Preservation and is a preferred vender for the Florida State Park Service, Preservation Division. We have an established history manufacturing custom wood windows for a wide variety of historical restoration projects as well as custom, landmark wood windows throughout the United States. Call us or email us with the forms and contact information on our web site and you can learn more about the history of the Windowmaker Company today, get a listing of previous clients with historical restoration projects similar to yours, and find out why the Windowmaker Company is the leading choice for all of your custom wood windows restoration needs. 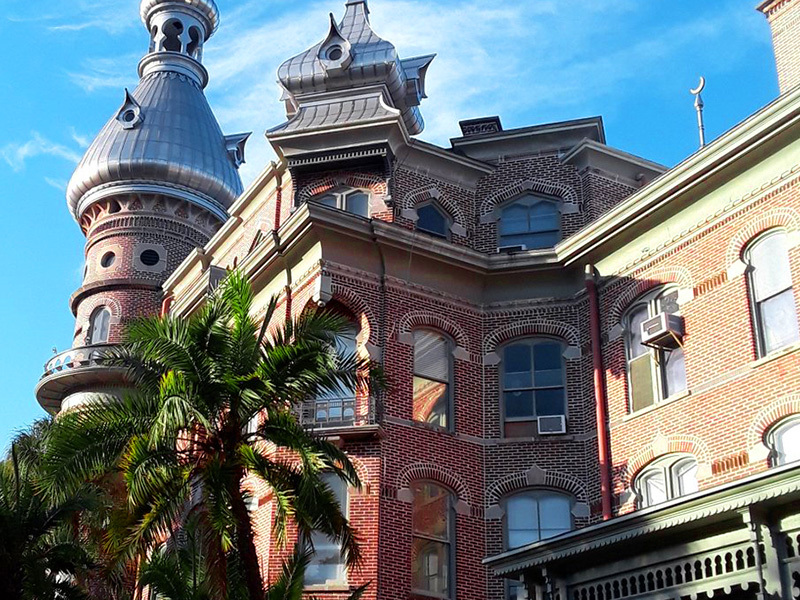 St. Augustine Lighthouse, Fernandina Beach Courthouse, Matheson Historic Center, Don CeSar Beach Resort Hotel, the U.S. Veteran’s Hospital, the University of Florida – what do all of these places have in common? They are all sites where custom wood windows designed and installed by the Windowmaker Company can be found. Our list of satisfied clients includes dozens of locations throughout Florida. No matter what kind of reason you have for needing custom wood windows, whether you are interested in the topic of historical preservation or you are just looking for a specific window pattern for custom wood windows, the Windowmaker Company is ready to help you at every step of the process. Even if you have only a general sense of what kind of windows you want, you can check out our web site to look at sample designs for a wide variety of custom wood windows and make an inquiry on a projected time frame and cost. We can design the windows that you need and help you come up with a solution that suits your location. Contact the Windowmaker Company today and get the custom wood windows that you have been searching for!